"Control the Transportation Cost and Improve Supply Chain"
Without a doubt, there are numerous benefits that can be realized by adding regional carriers to your portfolio including reduced operational costs. Savvy companies are meeting the demands of increasingly dynamic delivery network and gaining a huge advantage by adding regional carriers to their distribution network in reducing the transportation costs. And the result? Flexible, reliable delivery options - often at a significantly lower operational cost. 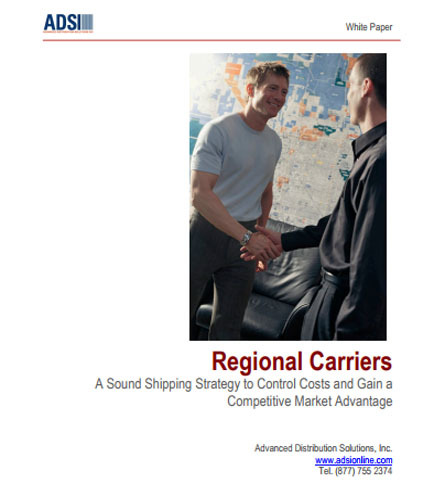 In this whitepaper, you’ll find useful information on what to expect from regional carriers, and how you can use their services to build a dynamic carrier network that can be adapted to changes in business. How can you control the transportation costs by using the regional carriers? How to manage regional carriers in the distribution network for cheaper delivery and lower operational costs? Do the regional carriers offer the same kinds of value-added services and technology capabilities offered by your other carriers? What is Sales Force Automation ? Sales force automation packages generally include a web-based database, email facilities, and customizable templates. It also belongs to customer relationship management automation processes with three-tier architecture with a module-based design approach for a separate database, application, and server to reduce programming demand on clients.